Use this creamy herbal blend instead of soap to cleanse your skin without drying it out. 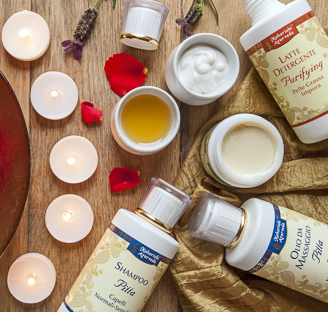 Real Ayurvedic skincare first starts with cleansing. Precious herb essences and nourishing, moisturising oils help to give the skin a soft texture, without making it greasy. Conforms to BDIH standards. Use this creamy herbal blend instead of soap to cleanse your skin without drying it out. Real Ayurvedic skincare first starts with cleansing. Precious herb essences and nourishing, moisturising oils help to give the skin a soft texture, without making it greasy. Conforms to BDIH standards. Gentle cleaning with an exquisite selection of Ayurvedic herbal extracts. Apply gently on moistened face and neck morning and evening, and rinse off with water. 2 From real essential oil.